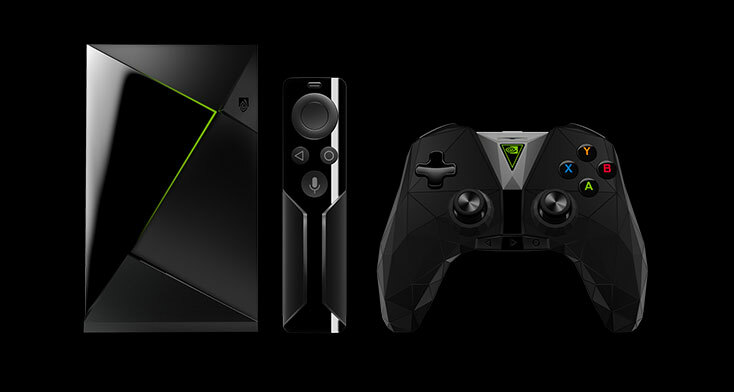 Nvidia's Shield TV is now an even more attractive game streaming solution for those who want to bring their PC experience to another part of their house. The latest software update adds a number of improvements, but the biggest and most impactful is full support for high refresh rate displays. The Shield Software Experience Upgrade 7.1 makes it so that the Shield TV is capable of outputting frame rates up to 120Hz, meaning if you have a high refresh rate TV, you can experience much more fluid gameplay on it than you will have been able to in the past. Other additions in this update include better support for GeForce Now's voice chat, meaning you can listen to and communicate with your teammates in Fortnite over the 3.5mm headphone jack in the controller. There's also full support for Nvidia Share, once again, making it possible to record screenshots, in-game footage and highlights, and stream directly to services like Amazon's Twitch. PCGamesN reports that there is a new virtual keyboard and mouse companion too, which should make certain interactions on the Shield TV, like logging in, much less frustrating to deal with. There are some interactions which just aren't easy to achieve on a console like gamepad. The Shield TV still isn't a cheap option for living room gamers and streamers, costing more than $220 for the Smart Home model and $200 for the base Shield TV system. Still, it's one of the most powerful game streaming systems available and blows away budget offerings like Valve's Steam Link.